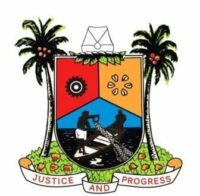 The Lagos State Government on Thursday unveiled plans to adopt the Boston model to clean up the State Waterways and tackle other environmental issues confronting the State. State Governor, Mr. Akinwunmi Ambode disclosed this shortly after series of meetings with the Mayor of Boston, Marty Walsh and the Executive Director of Massachusetts Water Resources Authority in the United States of America. At the meeting, Mr. Levy recalled the Boston Waterways and sewage crises and explained to the Governor and his team on how the government worked hard for years to clean up the harbour as well to provide clean portable water to the people of Boston. Governor Ambode who was later hosted by the Mayor of Boston, Marty Walsh, where he held discussions on a Sister-City Collaboration with Boston, equally discussed areas for mutual economic partnership between Lagos and Boston. The Mayor described Governor Ambode’s visit as a homecoming recalling that the Governor was, earlier in his career, a Fulbright Scholar at the Boston University and also worked in the State Treasury Department. The Mayor and his team identified areas of mutual interest with Lagos and pushed for collaboration with both cities considering the numerous similarities they share. Governor Ambode, on his part, said that the knowledge and experience he gained from Boston helped shape his career and benefited him in his position as Governor. He pledged to explore areas where Lagos could partner with Boston, especially in the clean-up of the Lagos waterways. Governor shared insights into the investment opportunities available in Lagos, stating that Lagos is the prime destination for investments in Nigeria. In a related development, Governor Ambode in a meeting with senior officials of the MIT Faculty and the MIT Africa Initiative in Cambridge, Boston Massachusetts, confirmed that the State Government has entered into a partnership with the Massachusetts Institute of Technology (MIT) for the use of innovation and technology to tackle the challenges facing Lagos State. Governor Ambode informed the MIT Team that Lagos is the technology hub of Africa with Yaba now globally acclaimed as a hotspot for start-ups, assuring that the MIT that his government would continually work to create an environment where new businesses will thrive as well support more tech hubs in Lagos. The Lagos State delegation to MIT including Governor Ambode, Commissioner for Wealth Creation, Mr. Babatunde Durosinmi-Etti, the Commissioner for Environment, Dr. Babatunde Adejare and the Commissioner for Waterfront Infrastructure, Engineer Ade Akinsanya, were received by the Provost for International Activities, Professor Richard Lester, Faculty Director Legatum Center, Professor Fiona Murray and Executive Director of the Abdul Latif Jameel World and Food Security (JWAFS), Renee Robins. Governor Ambode and his team also met with the MIT Africa MD, Julia Reynolds-Cuellar and the Director MIT Regional Entrepreneurship and Acceleration Program (REAP) Team on Africa, Sarah-Jane Maxted. That is enough data in most cases to ascertain whether a person is write my paper 4 me who they say they are.